Product categories of Adjustable Dumbbell, we are specialized manufacturers from China, Adjustable Dumbbell, Automatically Adjustable Dumbbell suppliers/factory, wholesale high-quality products of Body Building Adjustable Dumbbell R & D and manufacturing, we have the perfect after-sales service and technical support. Look forward to your cooperation! Adjustable dumbbell is made of cast iron, consist of a metal bar and the Weight Plates adjustable. The bar center part is often engrave with crosshatch pattern to increase grip. Adjustable Dumbbells take up significantly less space than regular dumbbells. If you use dumbbells for a variety of exercises, you need a variety of dumbbell weights. Six or eight sets of regular dumbbells take up considerable space, but you can get 12 to 16 sets of dumbbell weights in one selectorized dumbbell block. 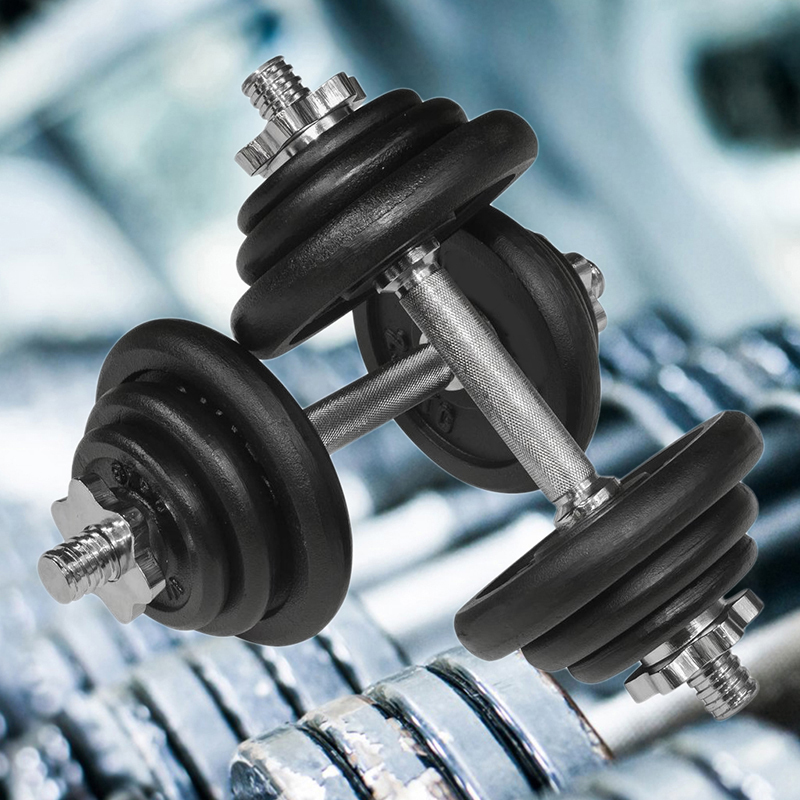 Adjustable dumbbells are a great product for buyers who want a variety of weights but either don`t have the space, storage or budget for a full set of fixed dumbbells. The technology behind this type of dumbbells has been developing quickly and one of the current market leaders, Power Block boasts that some of their products replace the need for up to 34 pairs of dumbbells with just 2.